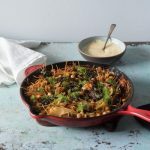 In the summer, I love to make the sort of meals that can be tossed together in a big bowl and served at room temperature. I get cranky in the heat, and it’s better for everyone if I don’t spend much time standing over a hot stove. It’s better still if, after everything is done, I can step away from the kitchen with a cool drink in my hand and relax for a while before eating. 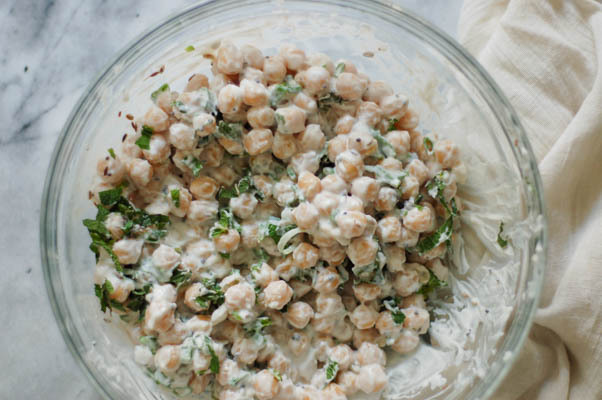 This chickpea dish is perfect for days like that. It doesn’t look like much, but it’s something special. It’s fragrant with Indian spices and creamy from the yogurt sauce. 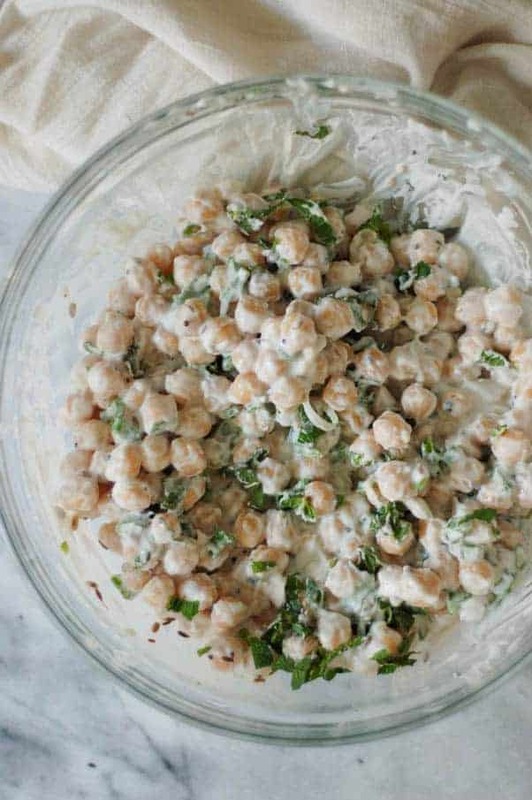 The chickpeas make it feel substantial but the lemon and fresh herbs keep it light. 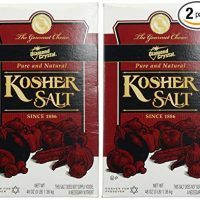 It’s been a staple in my summer kitchen ever since I first learned about it on Dana’s site back in 2009. It’s incredibly simple to throw together. 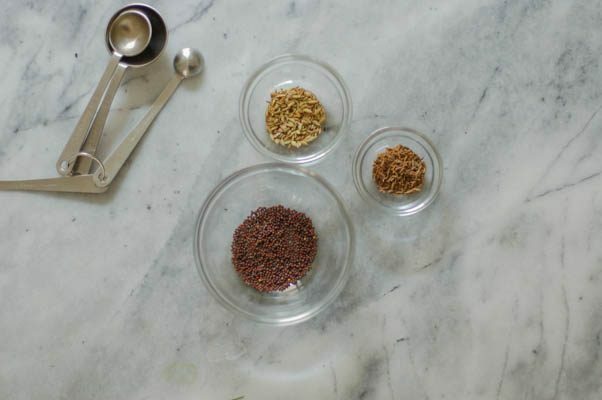 A kicky blend of brown mustard seeds and cumin and fennel seeds get heated with some coconut oil to make a spice infused oil. Then the oil and spices get poured over a waiting bowl of chickpeas. Some cooling yogurt and a squeeze of lemon juice go in next, and then the whole thing gets topped with a flurry of sliced green onions and mint. 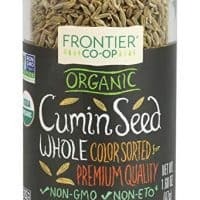 I usually serve this with some fragrant basmati rice, but it’s also great on it’s own or with some naan or as a side in an Indian meal. I’ve done some variations on this, sometimes adding cucumber slices or tender leafy greens like spinach. I sometimes add cilantro along with or instead of the mint. 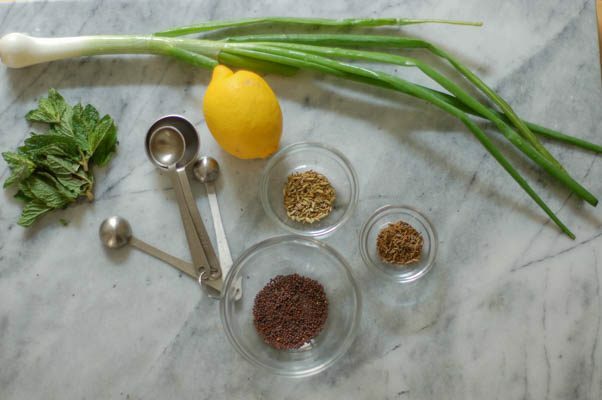 I usually use scallions, but because I had some milder green spring onions on hand I used those this time. 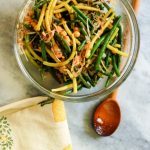 I like it best with coconut oil, but I’ve also enjoyed it with peanut oil and canola oil, and although I’ve never used it in this, I’m sure ghee would also be delicious here. All of which is to say that this dish is very flexible. And it can wait patiently on the kitchen counter while you pour yourself a cold drink. 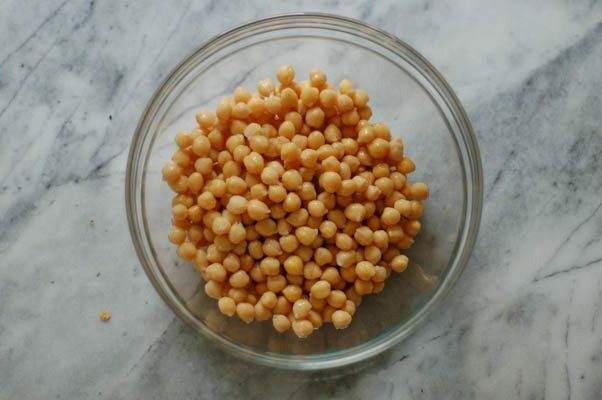 These chickpeas are a regular in my summer kitchen. 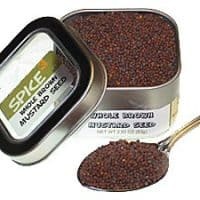 The brown mustard seeds give it a subtly spicy kick, the yogurt gives it a creamy richness, the lemon and mint brighten the flavors. I like this with coconut oil, but any neutral oil will work. It will taste best with full fat yogurt (of course) but it’s also still really good with low or no fat yogurt. I usually make it with Greek yogurt, but it’s also good with thinner yogurt varieties, which simply make it saucier. 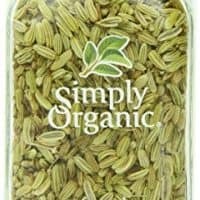 I usually serve this with basmati rice, but it’s also great with naan or as part of a larger spread of dishes. Place the chickpeas in a large heat safe mixing bowl. Heat the oil in a small saucepan over medium-high heat until shimmering. Add the mustard seeds and cook for about one minute or until they begin to pop. Add the fennel and cumin seeds and cook for about 30 seconds. Remove from heat and immediately pour over the chickpeas. Stir to coat. 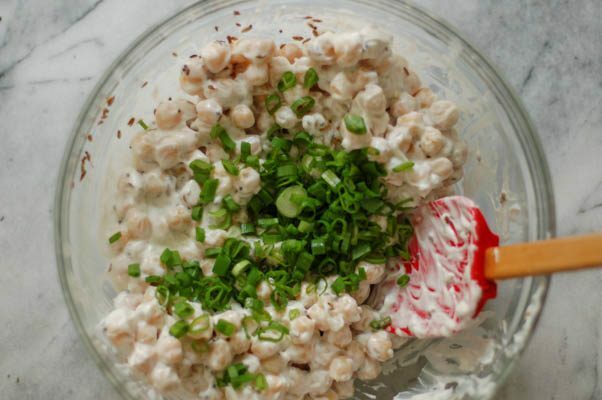 Add the yogurt, lemon juice, and salt, and stir until the chickpeas are coated. Add the green onions and mint and fold in gently. My daughter would love this! She loves chickpeas and yogurt. I have to make this, anything to get a toddler to eat! Oh yum, I know what I’m making for dinner tonight! 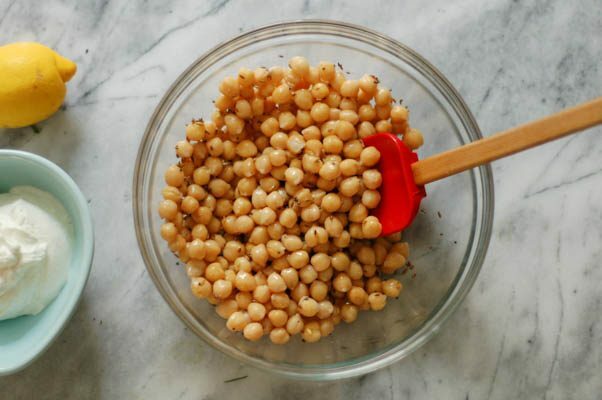 Chickpeas are a fav around my home! Thanks for sharing this great recipe! Thanks, Ashleigh! Let me know how it turns out! This looks super delicious. What a great snack idea! Thanks! I think it makes a good meal or side too.